3 Bedroom Detached House For Sale in Stockport for Guide Price £600,000. Watermeetings Cottage is beautifully presented and has been fully renovated to the highest of standards. The current owners have lovingly restored the cottage, incorporating and restoring the cottages original period features creating character and charm throughout. This property really is worth an internal inspection to fully appreciate all there is to offer. 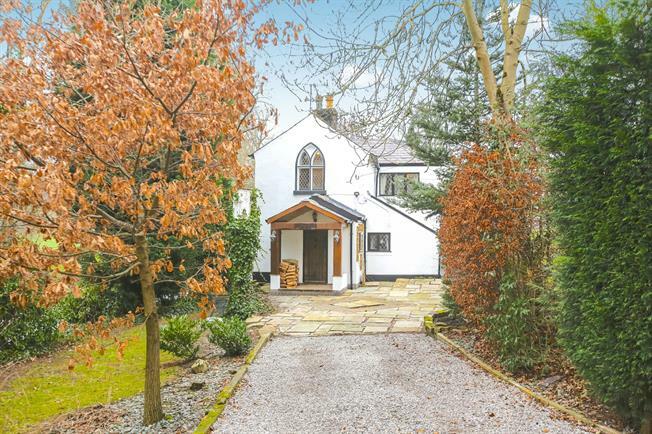 In brief the property comprises entrance porch, open plan dining room and living room with open fire, ground floor bedroom/study, large kitchen with bespoke bench seating providing dining and orangery with doors leading to garden. The raised patio area leads to a large lawn with views over the river. To the first floor are two double bedrooms and bathroom. To the front of the property is gated access to the driveway providing parking for several vehicles and outhouses providing storage.